Activity is vital at any life stage. It helps children develop correctly, keeps adults healthy and reduces the impact of old age in seniors. Elders that stay active can enjoy various benefits to their well-being, even from low-impact workouts. Still, it isn’t always easy to keep motivated to work out, especially during these cold winter days. To avoid loss of motivation, seniors should always keep in mind how beneficial exercise can be for them. Let’s have a look at how seniors can genuinely benefit from low-impact workouts, as well as what the best low-impact workouts are. Whichever form of exercise you choose, it’s sure to produce endorphins. Activities in nature will further increase the impact of the “feel good” hormone, ensuring you’ll feel satisfied and happy afterward. Nature walks or hikes, cycling, and yoga can serve you well in reducing bad moods and improving your overall mental health. Exercise has an exceptionally positive impact on insomnia and other sleeping problems, which are common in seniors. Regular activity prevents or lowers the risk of many illnesses and keeps your body strong and healthy. Working out improves the immune system, which is especially crucial for elders, as they are more vulnerable to diseases. But low-impact workouts don’t only keep diseases at bay. They also reduce the risk of falling by improving strength, flexibility, balance, and coordination. Even the most basic, low-impact exercise, such as walking, can help, as long as it’s done regularly. One of the best things about exercise is that it doesn’t have to be a solitary activity. Likeminded seniors can get together for walks or hiking. Having company usually improves accountability as well, so you’ll be more motivated to keep up with your workout habits. Another right way to stay active while enjoying company is signing up for dancing or a fitness class. By maintaining social ties, you’ll keep loneliness at bay as well. According to multiple studies, physical activity also has a positive influence on cognitive function. Exercise improves and fine tunes our motor skills, which, in turn, keep our mind sharp. Active seniors have less risk of dementia, regardless of whether they’ve always been active or not. What matters is that you stay physically active. Sometimes seniors can find the idea of exercise intimidating due to fear of falling or injury. It is precisely why low-impact workouts are recommended, as they are relatively easy compared to full-blown workout routines. Walking is the easiest one to get into and provides a full-body workout. The same goes for swimming, which is considered one of the safest solutions for exercising when joint health is in question. Stretching and yoga are great for building flexibility and balance or maintaining them in old age. Alternatively, you might want to take up cycling, dancing, or tai chi. 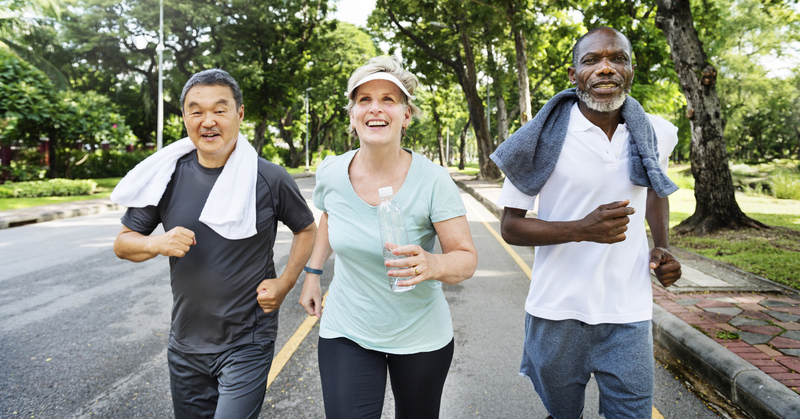 Ultimately, staying active is one of the best ways to ensure a good quality of life even if you’re well into your senior years. Christopher W. Grayson, M.D., Florida Orthopaedic Institute, is board certified by the American Board of Orthopaedic Surgery. He is a member of the American Academy of Orthopedic Surgeons and American Association of Hip and Knee Surgeons. Grayson is the author of multiple articles in peer-reviewed journals.